Happy Monday! I hope you all had a relaxing weekend, and are looking forward to a great week! 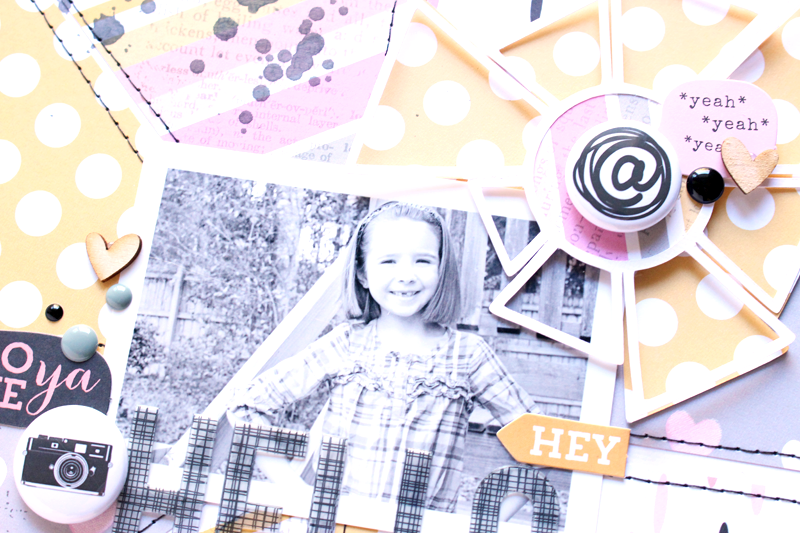 I'm excited to stop in today and share a new layout that's up on the A Flair for Buttons Blog today! About a week ago, I picked up some of the Bella Rouge collection from Pink Paislee at my LSS. 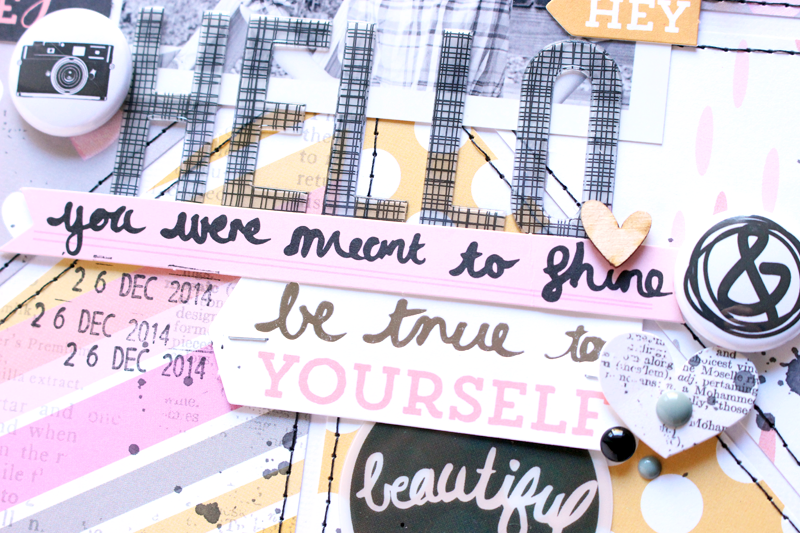 I love the colors...Pink, Yellow, Gray, Black and White! I knew immediately that I wanted to use some of the Black & White Flair Buttons from the A Flair for Buttons Shop, with this collection. I chose two of the Flair Buttons from the Blog Hop 2014 Flair and a Vintage camera Flair. I used two of the Flair Buttons from the Blog Hop 2014 Flair, by adding one to the center of the Let Them Eat Pie cut file at the top corner of my photo and the other as part of the long title. I layered the cut file over the photo, and thought it added a cute "sunshine" look to the layout, that went a long with the title. And I wanted to incorporate a third Flair Button, so I thought the Camera worked perfectly in a cluster near the title and photo. I love the graphic look the Black & White Flair Buttons add to a layout!